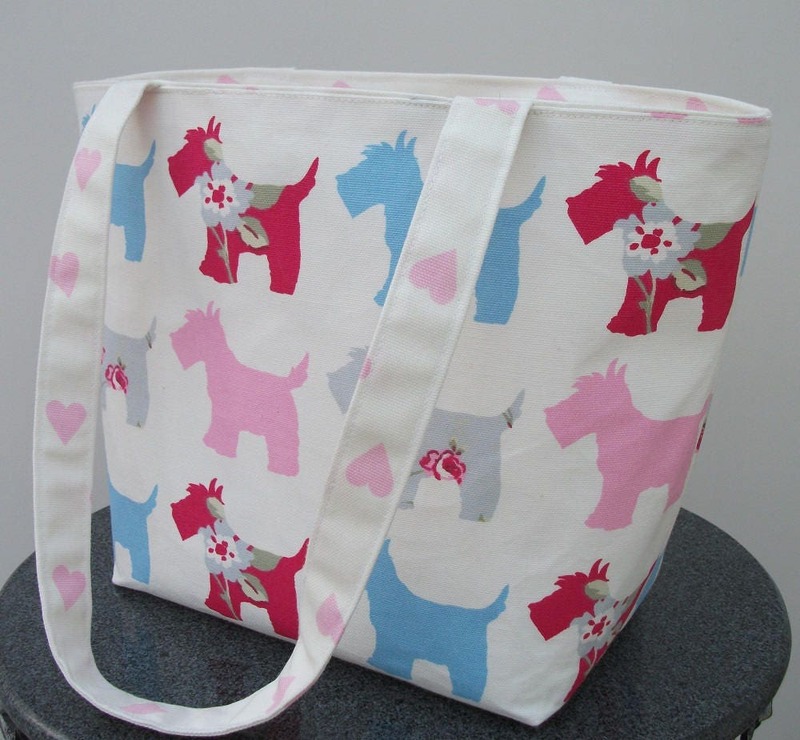 This is a very eye-catching, practical small shoulder bag made from high quality cotton - Clarke and Clarke's Scottie dog fabric. 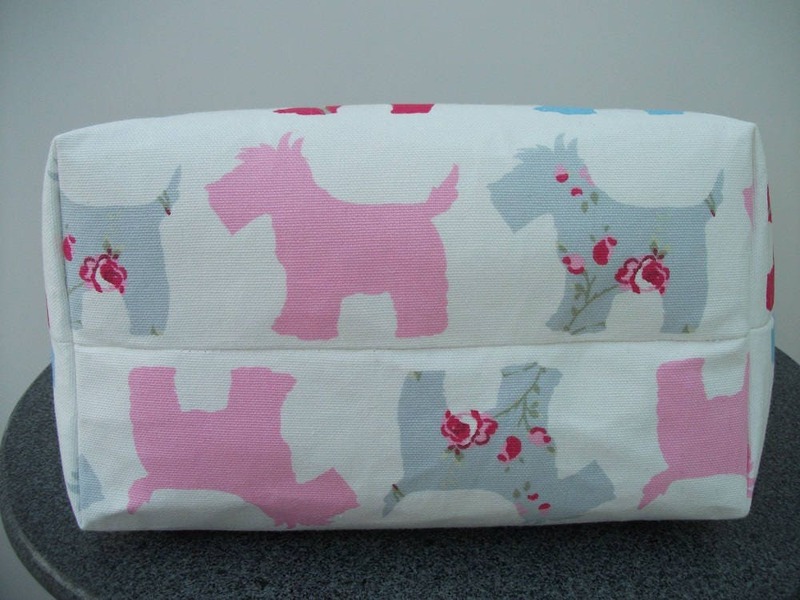 It has a lovely pattern of Scottie dogs in various pastel shades on a white background and it is lined with a matching Clarke and Clarke fabric patterned with pink hearts. 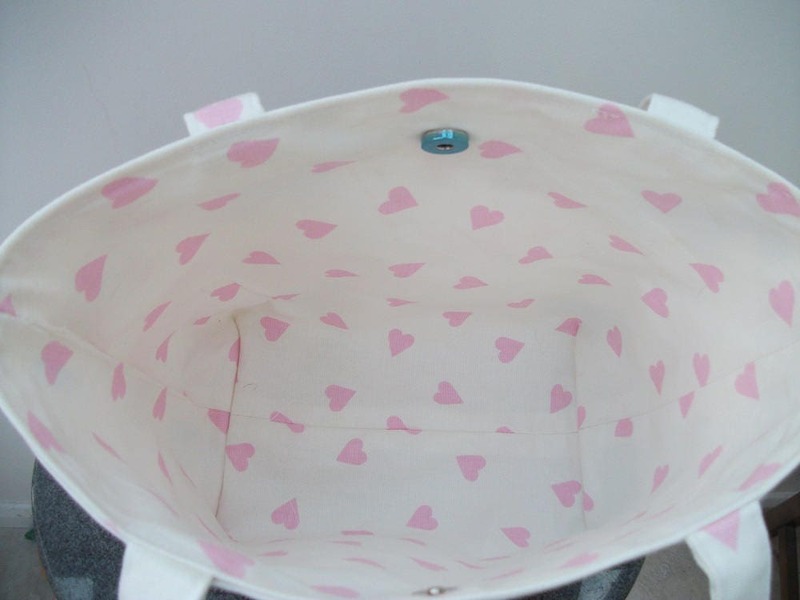 It is interlined with a Heavyweight interfacing to give the bag strength and body. It can, therefore, be used for carrying a tablet or small laptop, books or for small items of shopping, or lunch items. 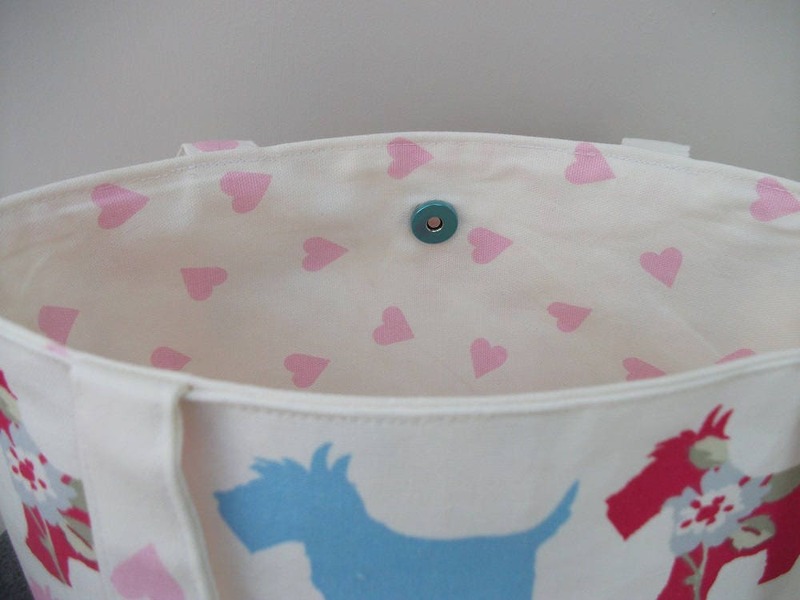 It has a magnetic clasp to fasten the top closed so that items do not drop out. 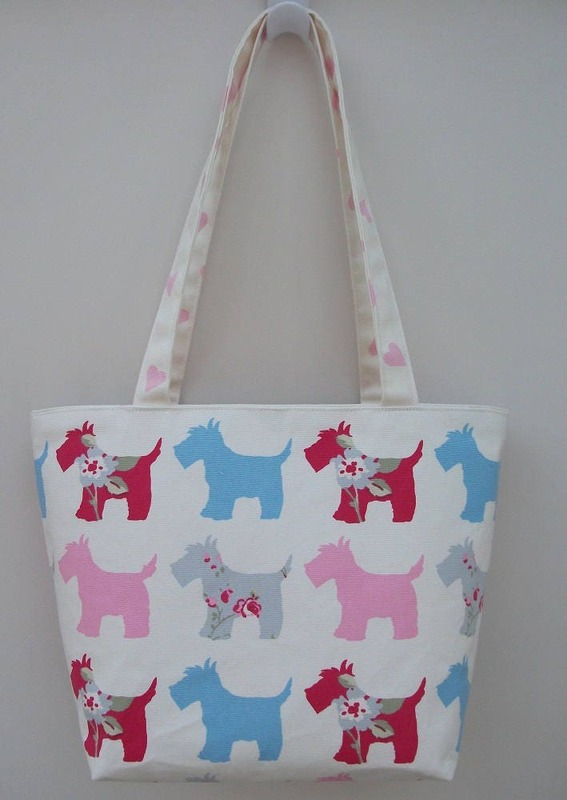 The straps are 23 inches or 58 cms long so the bag can be carried comfortably as a shoulder bag.